The Friends of Fort Ontario is a not-for-profit educational organization with tax exempt status under Section 501 (c) (3) of the Internal Revenue Code. The Organization was formed in 1989 to encourage community participation in the programs, assist in the preservation and enhancement of the collection of artifacts and documents, develop and conduct educational programs, services and activities which will broaden the experience of a visitor, sponsor fundraising events which will lead to improvements and engage in other activities which are in harmony with the operation of the Fort Ontario State historic Site. We continue to operate as an all volunteer organization. 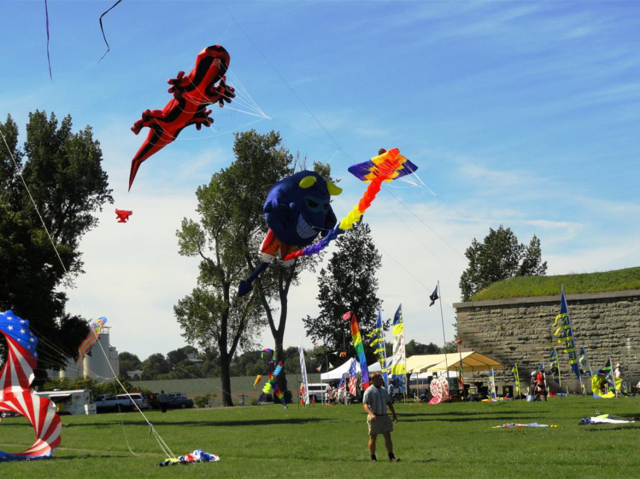 This has been accomplished and maintained by an effective collaboration facilitated through the Memorandum of Understanding that the Friends of Fort Ontario and the New York State Office of Parks, Recreation and Historic Preservation operate by. Your membership supports programming and fort enhancements beyond the basics provided by the State Parks system. Repairs and replacement of some site structures such as flag posts and the Post Cemetery sign. Please choose below to “Download a Membership Application” and print out an application to mail with a check, or “Click Here to Join Online” to do the application process and pay the fee online. Thank You.